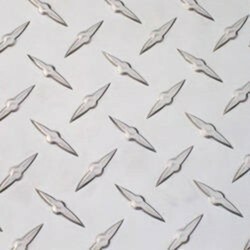 Aluminum Patterns are the good choice for high quality, long lasting Production. Compared to other pattern materials, Aluminium is highly resistant to the abrasive sand. We manufacture cost-effective and durable Aluminium patterns in various shapes and sizes. We are lead in manufacturing and exporting metal patterns for self-moulding machines. Patterns are developed with match plates it required when production is high. We manufacture cost-effective and durable aluminium patterns in various shapes and sizes. These patterns are available in various designs and themes and can be easily customised as per buyers’ specifications. - Capable of handling high temperatures and pressure, suitable for use in industries like automobile & Aerospace. We are affianced in offering wide assortment of Aluminium Pattern. Our client's can avail a superior range of aluminum pattern, which is available in unique designs and pattern. With the support of our manufacturing unit, we offer our range in accordance with the prevailing market trends. Moreover, we provide customized solution to our clients as per their requirement. We are offering Industrial Aluminum Extrusions to our valuable clients. Available in standard sizes, these can also be customized as per the requirements of our valued customers. Our organization is offering Aluminium Bottom Pattern to our clients. It is used for 650 housing. These patterns are offered in various sizes and dimensions and can also be customized as per the needs of the client. It is being used for various applications in varied industries. These patterns are easy to handle and have low maintenance hassles. We are a unique entity in the industry, actively committed towards manufacturing and supplying an optimum quality Aluminum Pressure Die Casting Pattern. 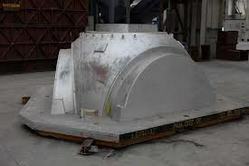 - To cast various die products. We are a most trusted name among the topmost companies in this business, involved in offering Aluminium Pattern.